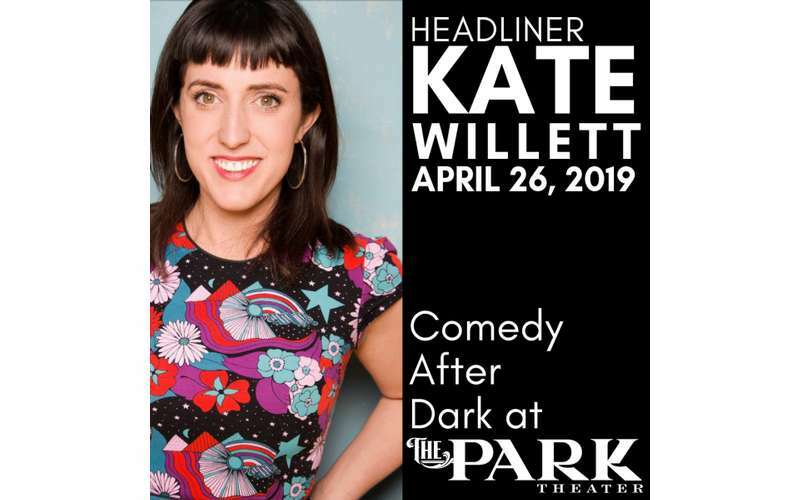 Headliner Kate Willett is a comedian, actress, and writer whose raunchy feminist storytelling is both smart and relatable. Her Netflix “Comedy Lineup” special premiered in August 2018. Kate was recently a correspondent for the JIM JEFFERIES SHOW at Politicon 2017. She’s been featured on Viceland’s FLOPHOUSE and her appearance on Comedy Central’s THIS IS NOT HAPPENING was on Splitsider’s list of “2016’s Best Late Night Standup Sets.” She’s toured with Margaret Cho nationally and internationally and has featured with comedians like Kyle Kinane, Jen Kirkman, Ali Wong, Dana Gould, and Greg Behrendt. This incredible stand-up comedy show includes a headliner, feature act, host, and guest comedian to make up nearly 2 hours of comedy entertainment, complete with a cash bar! Patrons are encouraged to buy tickets in advance to guarantee seating at the show.